A recently completed project took a unique approach to researching an important component of antimicrobial resistance. The VIBRE project’s goal was to better understand the extent of antibiotic usage and carriage of antibiotic resistant bacteria in poultry, as well as how that contributes to the larger antimicrobial resistance (AMR) problem in humans, and vice versa. The project team, led by prof. Constance Schultsz, recently published a paper that evaluated how bacteria, and specifically ESBL-producing E.coli, is transmitted and shared between humans and poultry of small-scale farms. Zoonotic diseases provide a significant disease burden worldwide. In addition to pathogens with a direct transmission to humans, the transfer of AMR from the animal reservoir to humans is a continuous threat through transfer of resistant microorganisms, and/or through transfer of selected resistance genes between commensal bacteria (e.g. E. coli) from animals to humans. “We conducted this project using the One Health approach, where multiple sectors and disciplines collaborate to obtain optimal health taking into account humans, animals and the environment. 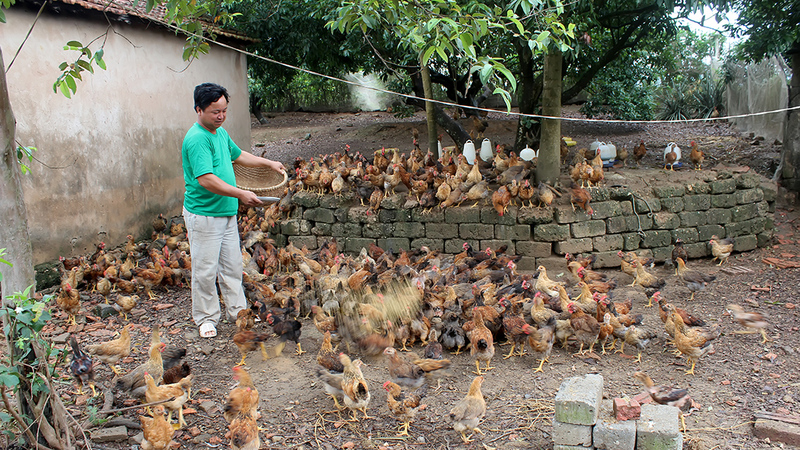 Specifically, we evaluated the small scale poultry farming setting in southern Vietnam and compared it with non-farming settings and included both animals and humans in the same context, which is very rarely done,” said prof. Constance Schultsz, lead for the VIBRE project and one of several AIGHD authors on the publication. Read the full study, published in the Journal of Antimicrobial Chemotherapy.